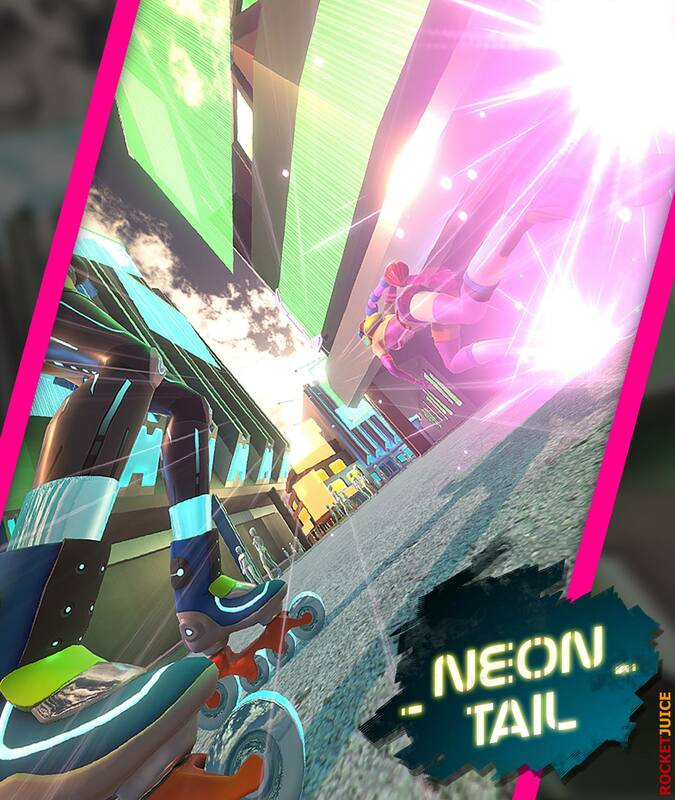 Neon Tail is basically Jet Set Radio meets Space Channel 5 meets Mirror’s Edge. If that doesn’t get your heart racing then you and your obsidian non-soul need to turn off the computer and re-examine your life. Before you start getting too excited though, Neon Tail isn’t coming out any time soon. Hell, it may never see the light of day. Based on what little info we have it’s worth keeping an eye on though. Just take a look at the very early trailer below. Chock full of Jet Set Radio inspired skating, neon aesthetics reminiscent of Space Channel 5, and plenty of Mirror’s Edge parkour action. It’s not often that a environmentally sparse and soundless video sings like this one does. Look at that lighting. Imagine a funky-fresh soundtrack. Look how smoothly it moves already. Pretend you know anything about it. Anything at all. It will be awesome. Please, God, let it be awesome. It’s always fun to find a game early in development to get excited about. Reading dev diaries, hitting refresh on Twitter, arguing over inane details on forums. At times, following a game’s development is almost as much fun as the game itself. Sure, it could lead to years of anticipation being punctuated with crushing disappointment, but every now and then it’s worth it. Rocket Juice Games, the developers behind Neon Tail, seem like they’re off to a great start for being only six months into development. While the game doesn’t appear to be wholly original, it’s already charmingly unique. Will it live up to expectations when its eventually released? Who knows? At least it’ll be fun to keep an eye on.